With the increasing application of powder metallurgy products, the size and shape of metal powder particles are increasingly demanding, and the properties and size of metal powders depend to a large extent on the production method of the powder and its preparation. Process, so the preparation technology of powder is constantly developing and innovating. The mechanical method is a processing method for breaking a metal into a powder of a desired particle size by means of a mechanical external force, and the chemical composition of the material in the preparation process is substantially unchanged. The methods currently in common use are atomization and mechanical pulverization. The advantage is that the process is simple, the yield is large, and ultrafine powders of high melting point metals and alloys which are difficult to obtain by conventional methods can be prepared. Fine crushing equipment mainly used for crushing and grinding: hammer mill, rod mill, ball mill, vibrating ball mill, agitating ball mill, etc. The mechanical pulverization method is mainly suitable for pulverizing brittle and easy-to-work harden metals and alloys such as tin, manganese, chromium, high carbon iron, iron alloys and the like. The method has low efficiency and high energy consumption, and is used as a supplement to other milling methods or for mixing powders of different properties. Atomization method: The method of directly crushing a liquid metal or alloy to obtain a powder is called atomization method, and is a widely used metal powder preparation method which is second only to the reduction method in production scale. 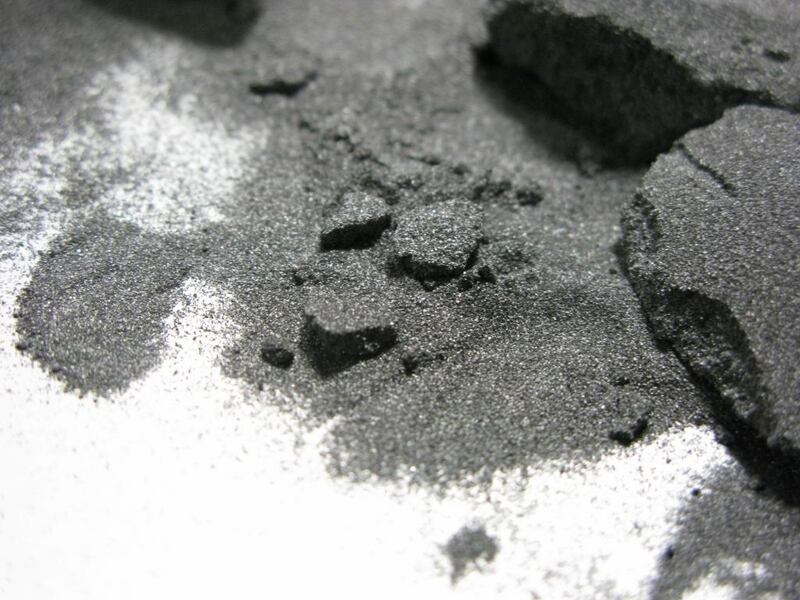 The atomized powder has the advantages of high sphericity, controllable powder particle size, low oxygen content, low production cost and adaptability to the production of various metal powders. It has become the main development direction of high performance and special alloy powder preparation technology, but the production efficiency is low. The defect of ultra-fine powder is not high, and the energy consumption is relatively large, which limits the application of the atomization method. The physico-chemical method refers to a method for producing an ultrafine powder by changing the chemical composition or the state of aggregation of the raw material during the preparation of the powder. According to different chemical principles, it can be divided into reduction method, electrolysis method, carbonyl method and chemical replacement method. Reduction method: Reduction of metal oxides and metal salts to produce metal powder is one of the most widely used milling methods. In particular, the reduction method is most economical when directly using ore and metallurgical industrial waste such as rolled steel scales. The advantages of the reduction method are simple operation, easy control of process parameters, high production efficiency and low cost, and are suitable for industrial production. The disadvantage is that it is only suitable for metal materials which are easy to react with hydrogen and become brittle and easily broken after hydrogen absorption. Electrolysis method: Electrolysis is a method in which a metal powder is deposited on a cathode by electrolytically melting an aqueous solution of a salt or a salt. It plays an important role in powder production. Its production scale is second only to the reduction method in physical and chemical methods, and it can control the milling particle size. The prepared powder has high purity and the elemental powder can reach more than 99.7%. However, the electrolysis method consumes more electricity, and the cost is higher than that of the reduced powder and the atomized powder. Therefore, in the total powder production, the proportion of electrolytic powder is relatively small. Carbonyl method: Since the metal carbonyl is easily decomposed into a metal and a CO gas at a low temperature, a metal carbonyl metal powder can be obtained by a reverse reaction of a synthetic metal carbonyl. The carbonyl method can be used not only to obtain micron-sized powders, but also to obtain nano-sized powders; not only can a single pure metal and alloy powder be prepared, but also a coated powder can be obtained. The highly developed surface of the carbonyl powder itself is incomparable to the powders produced by other methods and is the best material for chemical power plates and catalysts. Chemical substitution method: According to the activeness of the metal, the less active metal is replaced from the metal salt solution by a highly active metal, and the metal (metal powder) obtained by the replacement is further processed by other methods. The method of refining into a metal powder is called a chemical replacement method. The method is mainly applied to the preparation of inactive metal powders such as Cu, Ag, and Au. With the advancement of technology, metal powder has shown good application prospects in metallurgy, chemical industry, electronics, magnetic materials, fine ceramics and sensors. However, due to the limitations of traditional preparation techniques, the application of metal powder is restricted. Although many new production processes and methods have been applied, the problems of smaller scale and higher cost are still not well solved. In order to promote the development of metal powder materials, it is necessary to intensify innovation, learn from each other’s strengths, and develop production processes with higher output and lower cost.